Bioluminescence is a chemical process that allows living things to produce light. On land, fireflies are one of the most visible users of bioluminescence. 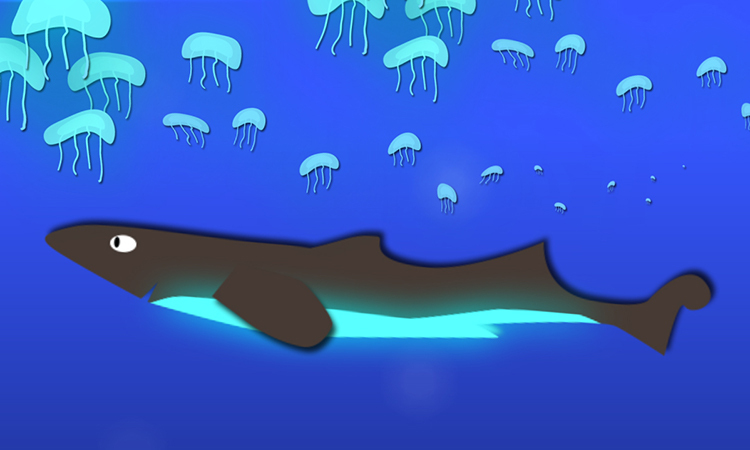 In the ocean, bioluminescent creatures can be found from the surface all the way down to the deep sea floor. And the vast majority of ocean animals, from bacteria to sharks, include some members who make light. Possibly as much as 90% of creatures in the deep ocean produce light. We don’t know all the uses of bioluminescence, but some animals use it to warn or evade predators … to lure or detect prey ... or to communicate with each other. So what else is it used for? And how did this super-power evolve? Those are questions on which we still need to shed some light. The light emitted by a bioluminescent organism is produced by energy released from chemical reactions occurring inside (or ejected by) the organism.